I changed my whole routine because I found the side effects of the cream and lotion I was using. If you read my past posts on Handling Eczema where I used Econazine cream, it contains quite high steroid. After I used it with the Dermal Therapy lotion, my skin was thinning very badly. Which I believe the Dermal Therapy contained restricted ingredients which was why it was restricted in my country. The side effects was scary, a little rub or abrasion my skin gets scald-like wound. I stopped using both. I went to the pharmacy and requested for something lighter than Econazine, I was given Egocort. My brother is using the same cream, it works better for mild eczema I am currently having. It is less thinning compared to Econazine. Since I was not allowed to buy anymore Dermal Therapy lotion, I had been using St. Ive's for the past few months. I mentioned about St. Ive's here. One day I was desperately searching for St. Ive's Vitamin E but it was sold out at all Guardians and Watsons outlets nearby. 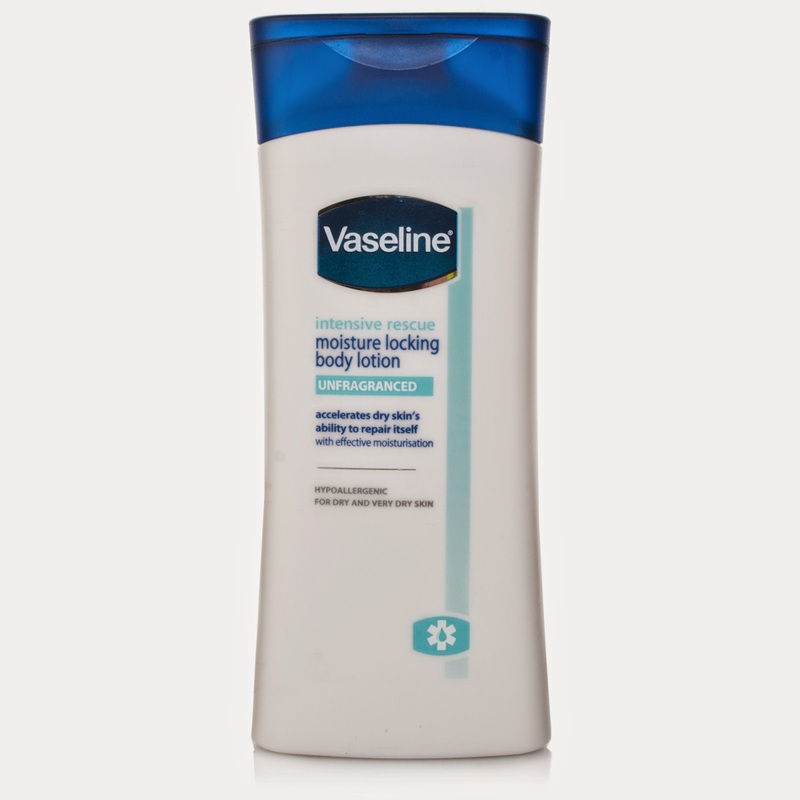 I had to travel the next day so I grab a bottle of Vaseline Intensive rescue Moisture Locking, it is great! I rarely have flakes now and I don't even scrub so often anymore. It could be a new lotion because I have not seen it before. And best thing is it's Hypoallergenic, my skin is so sensitive it has to be Hypoallergenic lotion. I saw Repairing moisture and Soothing moisture online but have yet to see these on the counter. I do however avoid air conditioned room, avoid hot shower...anything which could possibly make the skin dryer than it's already is.